Guys, this post is for you! 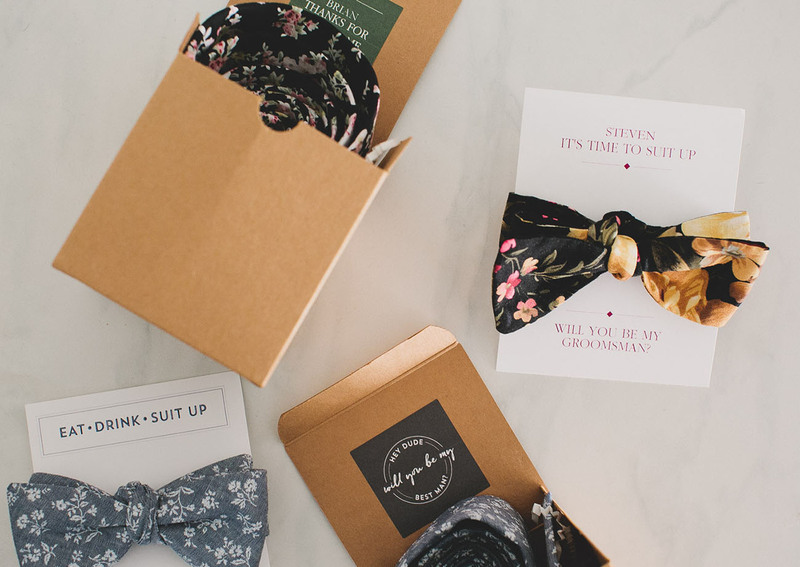 Today we’re bringing two ideas to the table on how to gift your groomsmen. 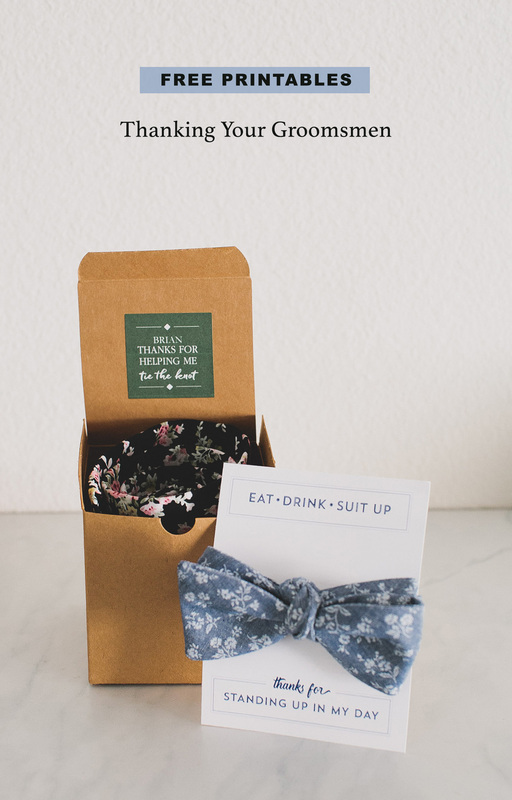 First up, we’re sharing how to thank them for being in your wedding. 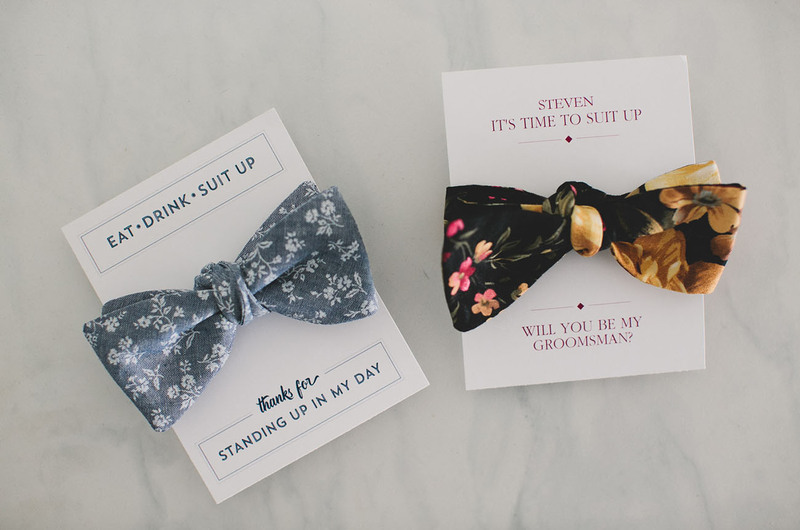 We’ve partnered with our friends at Avery and created two custom designs that you can modify to fit your wedding colors or tie/bowtie gift of choice. Here’s how you can easily do this at home! As a heads up, you won’t be able to print the .avery files without opening them in Avery Design & Print. Print out your stickers or postcards and simple stick on or wrap your bow tie around! Super easy. 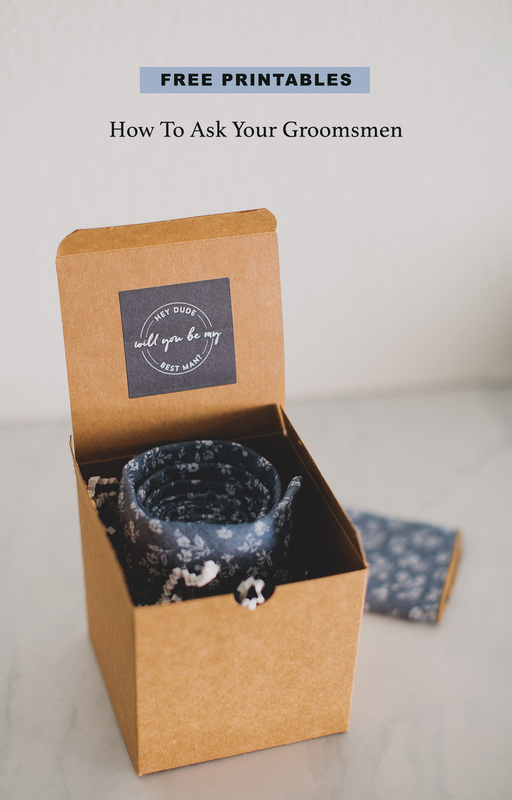 We love that Avery makes it so easy to choose your own custom colors/name changes and fonts to suit your own wedding! 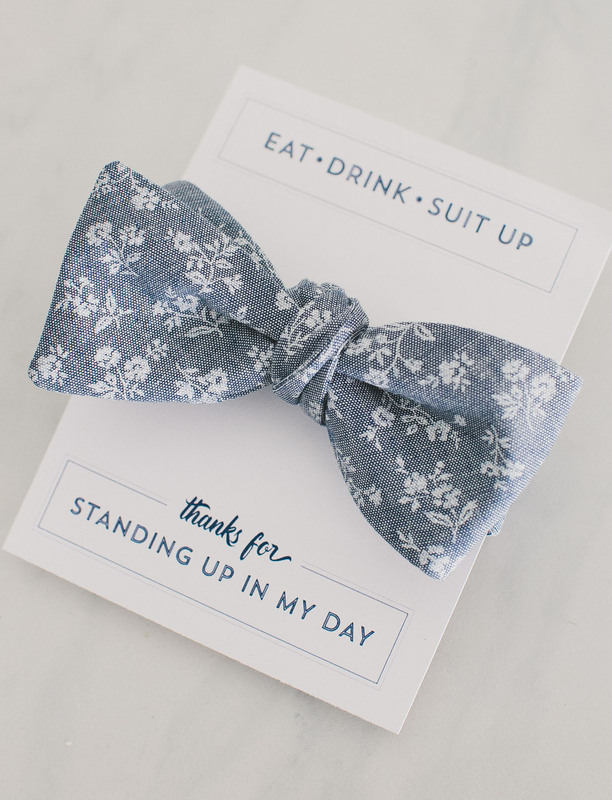 Our ‘Thanks for Helping Me Tie the Knot’ design above can be altered to each of your groomsmen’s names – rad right?! 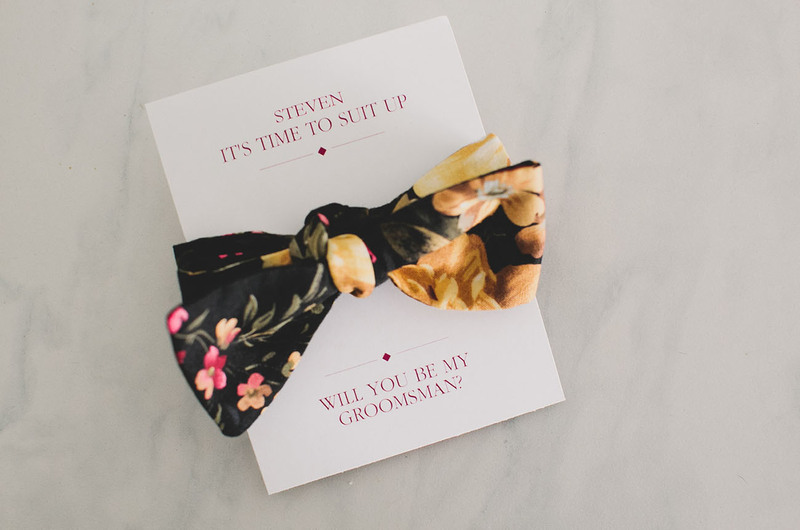 Next up, we’re sharing how to ask your closest dudes to be in your wedding. 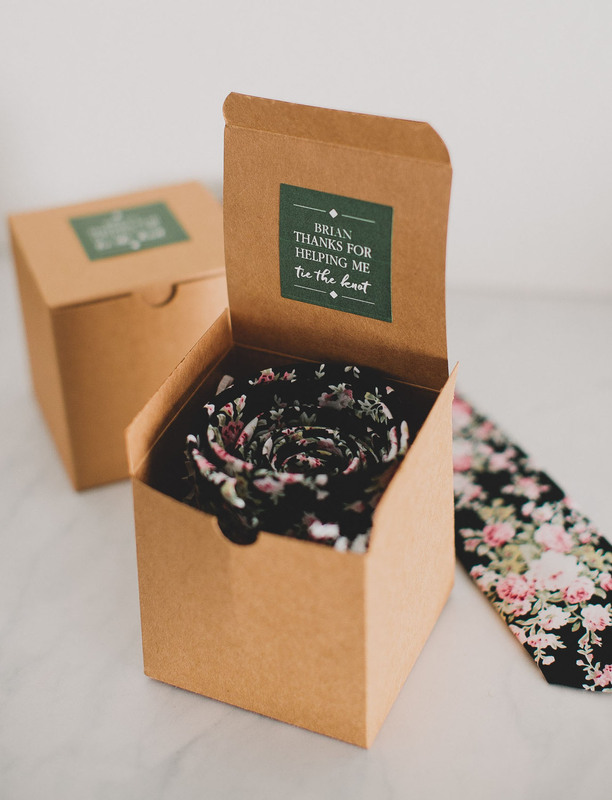 We know coming up with creative ideas is no easy task so with this option, your groomsmen will get a tie/bowtie they can wear on your wedding day and a gift all in one. Love it! Another design that can be customized with each name. Yes! 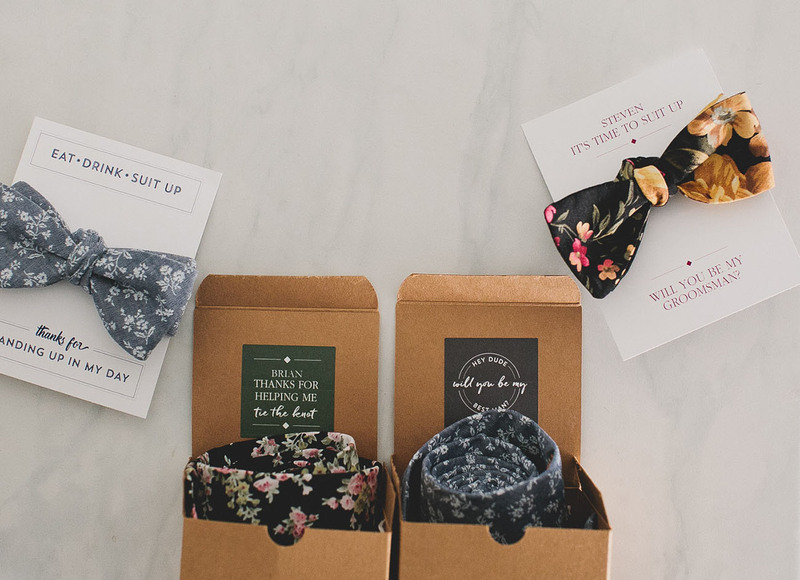 We also may be biased, but these Avery designs + our Neck and Tie collaboration pair so well together, don’t you say? Lovely design! Gorgeous! Thinking as a gift!